Kaftans, beach dresses, tunics and sarongs. Choosing your perfect cover up for the beach can be a daunting task. Where do you start when there are so many styles to choose from? Your search for the perfect cover up begins and ends with the pareo. Here we’ll explore exactly what a pareo is, how you can wear it and why it should be your go to piece. 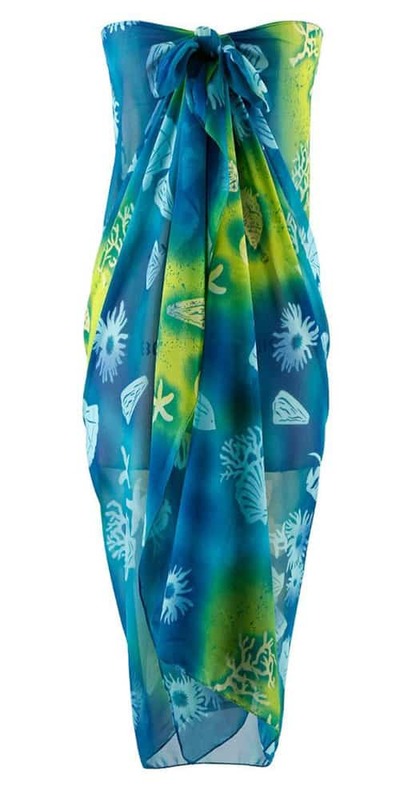 Related to the sarong, Pareo is the Tahitian word for wrap around skirt. The term has come into popular use in the fashion industry in recent years. Essentially the pareo is one piece of fabric that is wrapped around the body. Some pareos come with straps to create a more structured dress when worn. Others, a simple rectangular cloth that takes a little more creativity to construct. 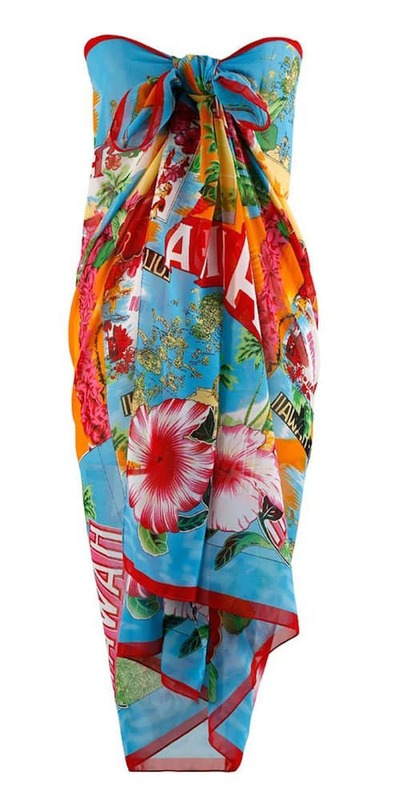 The traditional pareo featured bright, bold colors as well as elaborate prints. Hibiscus flowers in particular were very common, tropical prints as well as tie dye versions. Nowadays, with their growing trend, pareos come in all sorts of prints and colors. You can even choose from more simple looks such as color blocked styles or solid colors. How Do You Wear A Pareo? There are many ways to wrap a pareo. 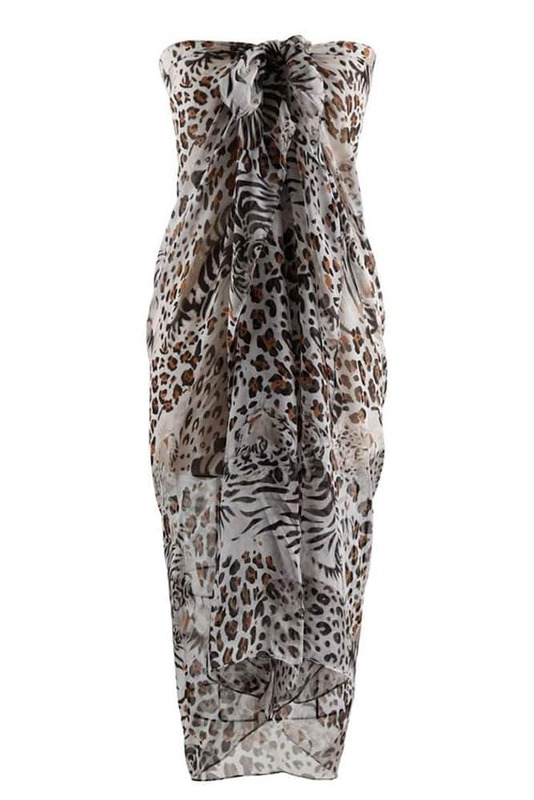 It can be used as a dress, first wrapped around the torso or only around the waist as a skirt. Extremely versatile, each way you wrap the pareo creates a different look. You can get very creative in this way. The key is all about clever draping. Construct a one shoulder dress, a halter neck, a scarf neck, strapless dress and any number of different styles. There is no wrong way to tie a pareo. Depending on your body shape, you may be able to rely on your bust and a simple knot or fold to keep it in place. If not, a trusty pin or brooch will add elegant to the look. When Can I Wear A Pareo? When heading to the beach, most people put their bathing suit on before leaving the house. This makes sense. Rather than shimmying into your suit in full view of the other sunbathers. But what about when you come out of the water? Or simply want to nip across to the beach bar for a cocktail? This is when you need a suitable cover up. Tunics and kaftans can be easily slipped on top of your suit without hiding behind a towel. However, they don’t provide the versatility a pareo does. Nor do they suit all body shapes. 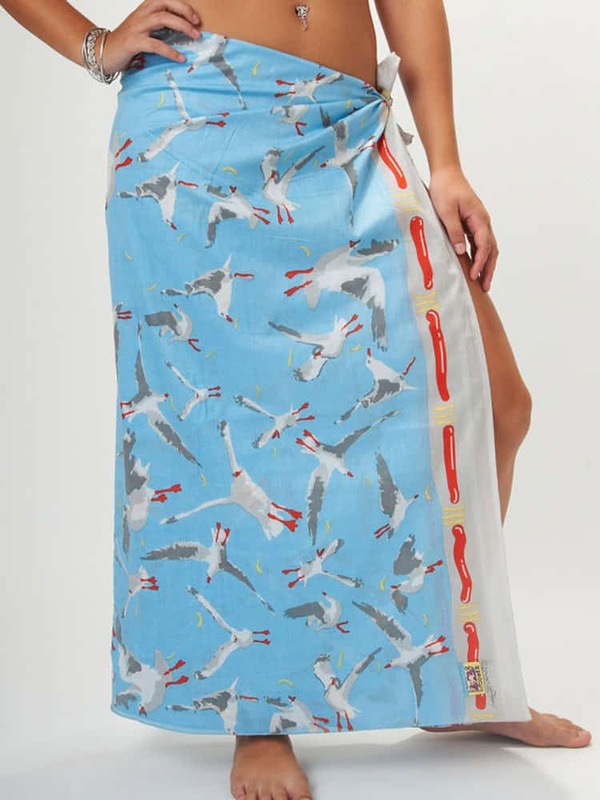 Not just for the poolside or beach, you can wear a pareo as a regular dress or skirt. They fold up small so many styles can be packed into your suitcase with ease. The purpose of a pareo is to be easily slipped on. No matter if you’re still slightly damp from the sea or quickly changing in public. Therefore, whatever you wear with your pareo, you want to be hassle free also. If you’ll be in the water, opt for jewelry that won’t get tarnished or broken. A simple vacation style, beaded or shell necklace is ideal as you won’t have to keep removing it before entering the sea. If you’ll be on dry land, a few metal bangles will set it off well. Depending on your location, either dressed up with sky scraper heels or down with flat sandals will work perfectly. To keep the heat off your face and neck, finish off your pareo with a stylish straw hat. Trilbys, fedoras or boater hats, all look fresh and dynamic this season and will help to prevent heat stroke. While the pareo is on trend and stylish, certain styles can cause problems. Unlike a tunic or a kaftan, they often don’t cover the shoulders. The shoulders are one of the easiest places to get burnt so do be aware of your sun exposure. Always wear sunscreen and avoid being out when the sun is at its strongest. This entry was posted in Fashion, Swimwear and tagged pareo, summer fashion, swimwear.